The Annual Parish Meeting (APM) and the Annual Parochial Church Meeting (APCM) - the church's AGM - will be held on Tuesday 19 April at 7.30 pm in church. Please join us on 19 April! We promise not to elect you as PCC member or sidesperson unless you actually volunteer! Thanks to all who supported this and helped in any way to make it such a success. The magnificent sum of £323 was raised for church funds. It's back! All you can eat and great company too! 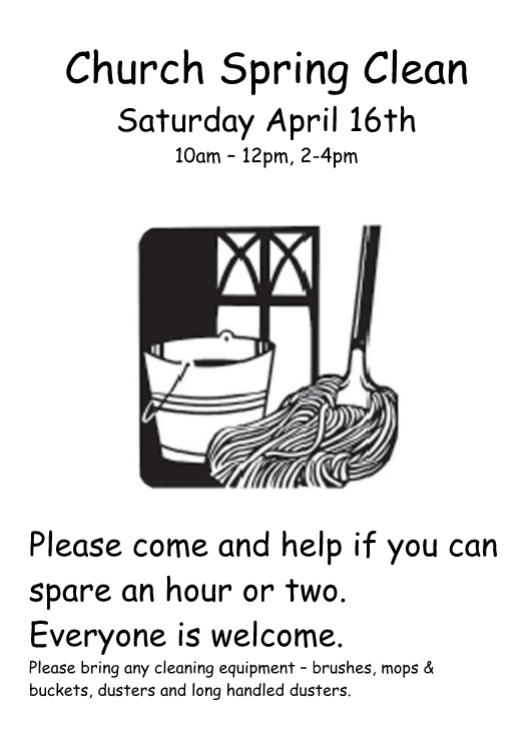 Please help if you can and keep our lovely church looking beautiful! From this week, Lorna will hold a service of Morning Prayer at 8.45 am on Tuesdays and Thursdays at Branston, Wednesdays at Nocton and Fridays at Potterhanworth. This is a formal service similar to Matins, not an informal and spontaneous prayer service. Please feel free to join Lorna at any of the churches in the benefice for this quiet and prayerful start to the day. Just a reminder that Lorna Brabin-Smith joins us this week as Rector of Branston with Nocton and Potterhanworth. Lorna's Institution and Induction will be on Thursday 17 March at 7.30 pm at All Saints Branston. Everyone is welcome! 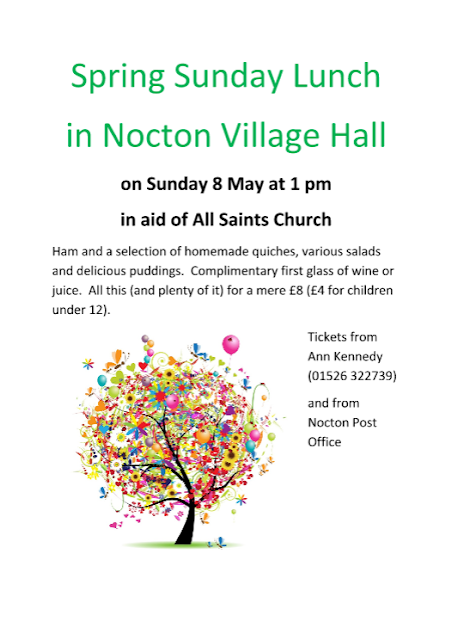 Lorna's first service at Nocton will be Easter Day at 9.30 am. The village newsletter is back! Huge thanks to Karen Flatters, School Business Manager at Nocton Community Primary School, for putting this together and to the Nocton 200 Club for funding it.